X-Press Magazine – Entertainment in Perth – THE CIRCUS gets 7/10 Russians and lawyers and Trump, oh my! THE CIRCUS gets 7/10 Russians and lawyers and Trump, oh my! 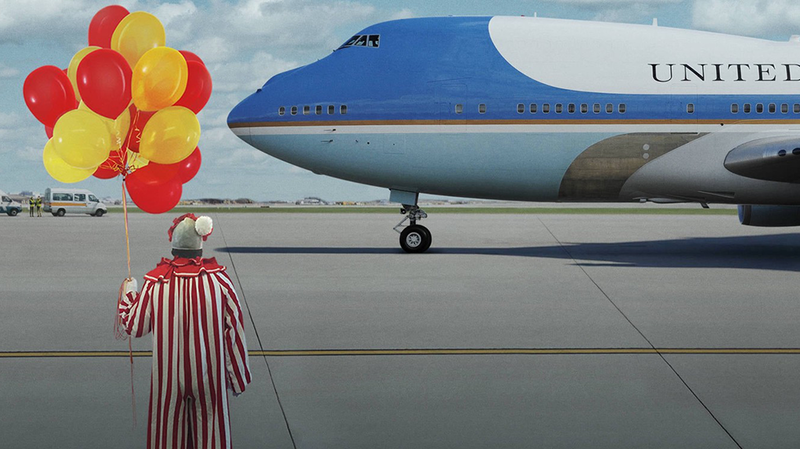 In the middle of the most surprising and chaotic times in recent American history, political nerds will be thrilled to see the return of the docu-series The Circus: Inside the Wildest Political Show on Earth in its third season exploring the stories behind the headlines. Wading into Washington’s political swamp The Circus team talks to insiders about what’s going on in the wild and unpredictable world created by the Trump presidency. Season one explored the 2016 election campaign and season two, the first 100 days of the Trump presidency. In this season the team dive into the issues and personalities shaping the extremely important upcoming midterm elections. A fresh face joining the team is Alex Wagner who joins returning hosts and fellow journalist/ commentators John Heilemann and Mark McKinnon. Not returning is Mark Halperin who was axed by Showtime as he is under a cloud of sexual harassment accusations. The show’s strength is exploring the issues in a non-partisan way, getting different sides of the story. Through the season, as well as exploring Russia, they look at the various legal entanglements surrounding President Trump. Then they focus on foreign affairs, particularly the administration’s plan to leave the Iran nuclear deal and the Muslim travel-ban. In their latest episode The Circus goes on the road to Trump’s heartlands to check the temperature of the public and look at some of the most interesting Senatorial contests coming up in the midterm elections. Four episodes in it feels like there is too much information to take in as the series tries to cover the myriad of garbage fires the current administration has fueled. It continues the format of the previous seasons with the hosts spending a lot of time chatting to themselves and insiders in swanky restaurants around the country. It is mainly focused on talking heads and is a fairly standard current affairs show in its format and visual presentation. It packs a staggering amount in and by the end of a 30-minute episode your head is left spinning. But it is indicative of just how much is going on. It is best to watch as it drops as it explores the developments of the week as well as the theme they have chosen. It is definitely not a place to get a beginners guide to current affairs. For the political wonk it is a great way to get your weekly fix of opinion and analysis from the players and commentators. With the current shenanigans in Washington it is more compelling viewing than most reality TV.